Amateur Bodybuilder Of The Week: Through Him, Joe Was Created! Prayer and faith gave Joe the power to focus on bodybuilding. Then he hired Layne Norton to finalize the plan and became a champion! My interest in bodybuilding started during my senior year in high school. I wanted to put on more size, so I purchased an issue of Muscle and Fitness. The issue was filled with information about nutrition, which I didn't understand at the time. I started following the "cookie-cutter" diet from the magazine and saw my body change. Then my passion for building muscle and eating healthy started to grow. 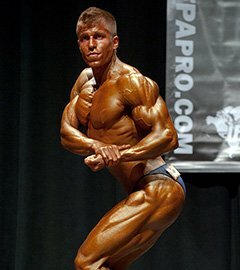 I watched Layne Norton's Inside the Life of a Natural Pro series on Bodybuilding.com and contemplated taking my passion to the next level and stepping on stage. 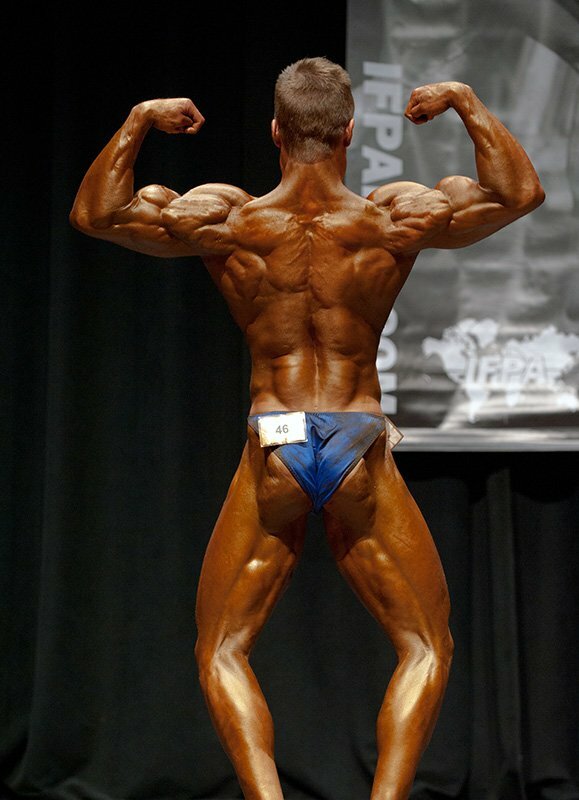 At age 22, I decided to commit to a show and hired Layne as my contest prep coach for the OCB Midwest States. I trained hard and took first place in the novice division, first place in the men's open medium height class, and almost tasted a pro card win in the overall. I'm training to win my pro card next competition season. As my knowledge about muscle building, nutrition, training, and supplementation grew, so did my passion for bodybuilding. It became something I enjoyed and was excited about every day. It's a gift from God to be able to wake up and do something you enjoy and are passionate about. My passion has led my brother and I to start our own business called The Offseason. We provide strength and conditioning programs and nutrition plans for high school and college athletes and regular people looking for direction or help with wellness, maintenance, fat loss, or muscle building goals. As a certified trainer, I have had the pleasure and joy of helping others reach their health and wellness goals. Like I said earlier, it's a blessing to wake up each day and do what I love do, and help others reach their goals so they can experience the excitement for themselves! My motivation comes from Jesus Christ. Throughout contest prep and the off-season when I face injury or have a setback, I pray to the Lord for strength and He delivers. Throughout my bodybuilding journey, He has been faithful in answering prayer. His Word (the Bible) gives me the assurance I need as God's creation. I want to use this body to glorify Him through bodybuilding, but no matter what happens, I know the Lord designed me perfectly in His sight. Despite divine inspiration each day I wake, there are other things that excite my training. I love bodybuilding documentaries. As I mentioned earlier Layne Norton's Inside the Life of a Natural Pro really got the wheels spinning. Documentaries like Overkill and Redemption featuring Kai Greene, or YouTube channels like Team 3DMJ's light something under me too. God willing, I will be a professional natural bodybuilder, and an exceptional one at that. Never give up. Believe that anything is possible. Train like anything is possible. 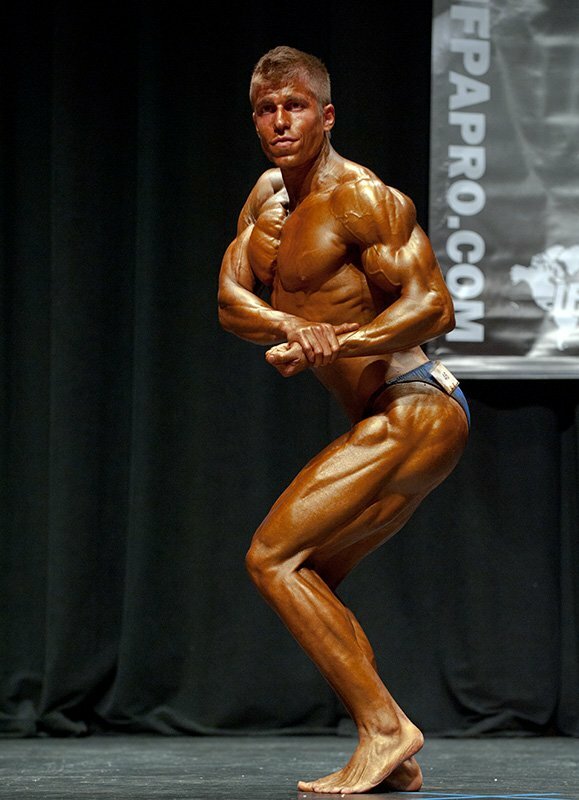 Layne Norton's passion for bodybuilding is contagious and his passion for his clients is unbelievable. He was the first face in natural bodybuilding I discovered and his videos and articles were a massive source for me. I look forward to him by my side throughout my bodybuilding career and I'm just as excited to see what he accomplishes in the sport as well. I can't leave out guys like Alberto Nunez, Jeff Alberts, Eric Helms, Ryan Doris, Josh Hyaduck, and Jim Cordova. These guys are all inspiring in their own way. The articles and the videos have always educated and inspired me!